1 Tuner + 1 or more non-Tuner monsters. Once per turn, you ca equip this card to a monster OR unequip it to Special Summon this card in face-up Attack Position. While equipped to a monster by this eff..
Activate only during your opponents Standby Phase. All face up monsters your opponent controls are changed to attack position, and cannot change their battle positions this turn. All monsters your opp.. Send 1 card from your hand to the Graveyard. Change the battle positions of all monsters your opponent controls. (Face-down defense Position monsters are flipped to face-up Attack Position.).. Activate only when you opponent declares a second direct attack during the same Battle Phase. Conduct battle between the attacking monster and the first monster that attacked directly (other effects c..
Activate only during the Battle Phase. Select 1 Equip Card equipped to a face-up Attack Position monster you control and select 1 face-up Attack Position monster your opponent controls. Equip that mon..
You take no battle damage from battles involving this card. Once per turn, if this card would be destroyed by battle, it is not destroyed. (Damage calculation is applied normally.).. When a face up monster you control is selected as an attack target, you can change the target to this card. 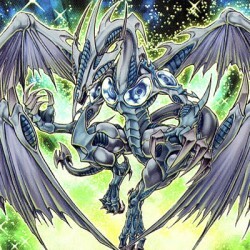 When this card is destroyed and sent to the Graveyard, 1 face-up monster your opponent contr..
Special Summon 1 monster from your Graveyard to your opponent's side of the field in Defense Position, and increase the level of 1 monster you control by the level of the Special Summon monster, unti.. Select 1 Level 2 or lower monster form your Graveyard and Special Summon it in Attack Position. When this card is removed from the field, destroy that monster. When that monster is removed from the fi..
Activate only when a monster you control is targeted by a Spell, Trap or Effect Monster's effect that destroys 1 monster on the field. Switch the target to an appropriate monster your opponent control.. If you have Normal Summoned a monster this turn, you can Special Summon this card from your hand. You can tribute this card to destroy 1 monster your opponent controls that battled one of your monster.. When this card declares an attack, you can change the attack target to Defense Position. When you take Battle Damage while this card is attacking, you can Special Summon 1 monster from your hand with ..